In the ebb and flow of my "other full time job" as a writer/poet, there seems to be a lot going on in the world of poetry lately. As we approach April which is National Poetry Month, I thought I'd run down a little of what's happening. I was asked to fill another year term as Poet Laureate for the Village of Wales. My term was initially scheduled to be up at the end of April. They claim to like my work and my initiatives and asked me if I'd be willing. Of course I agreed. Looking forward to another great year. As part of year two I have a couple of new things I'd like to do to try and increase the awareness of poetry in the. My first thought would be to get the poetry I read at the board meetings every month onto the Village website. 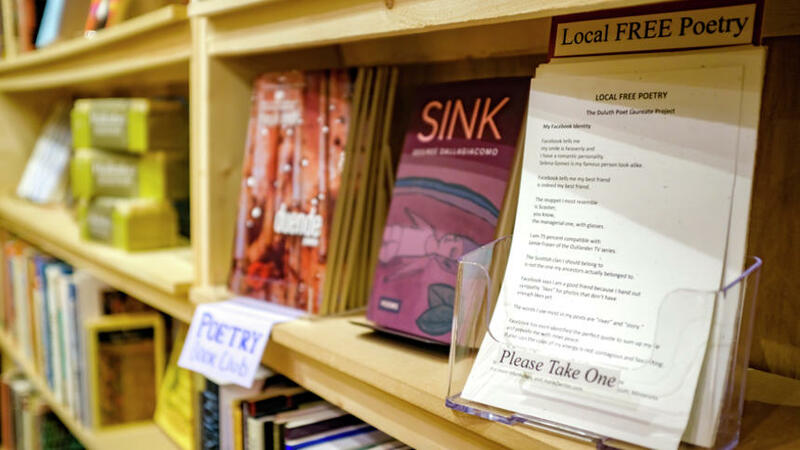 The other idea involves installing "free poetry" dispensers at area coffee shops, bookstores, libraries and other meeting spaces. I heard about the idea being started in Duluth and thought it would be cool at the local level here. See more here. I will be the featured poet along with Jane McCarty Osypowski at Suzy's Steak and Seafood restaurant in Portage as part of their Poetry in Portage series. This is a great way to increase my reach and get some good exposure. Looking forward to hearing Jane's work as well. 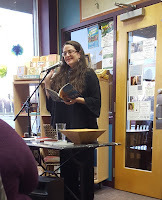 Last night I attended a poetry collection for a friend and colleague, Cristina Norcross. Her book Beauty in The Broken Places has some great work on her struggles during a tough time of her life. (On a side note, it was released by Kelsay Books, the same press that my book will be published on.) She is one of many that I look up to as someone who does a lot for the craft. 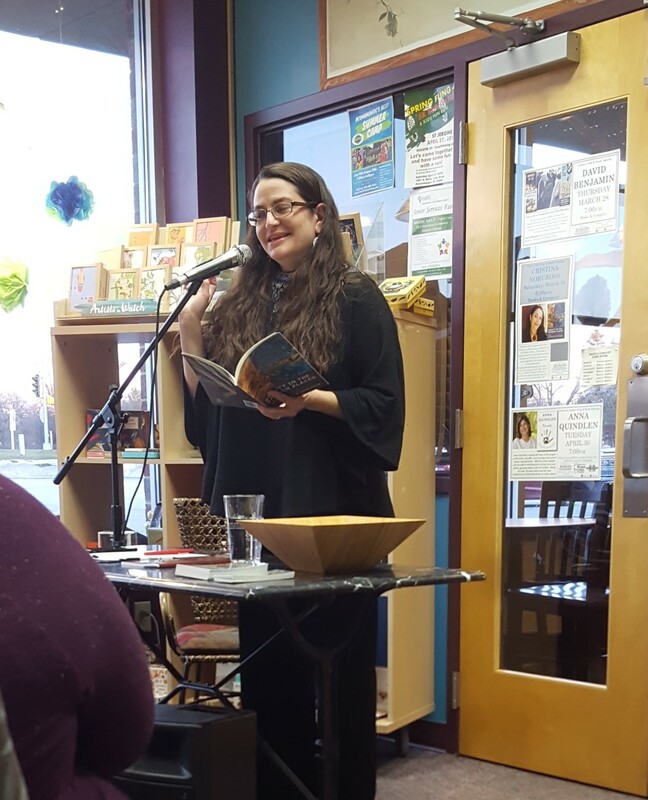 She is editor of Blue Heron Review online magazine as well as an accomplished poet with multiple books. I always enjoy supporting other writers and poets, because I know how great that feeling is. The contract for, Thoughts From A Line At The DMV, is all signed and sent off to the publisher. I am going through the manuscript to make sure it is in good order. I Still don't have a release date, but will post it when I know it. I hope to showcase a sneak peek at a few up in Portage. I have a few cover ideas for the book, including using artwork from my Facebook friend and St. Paul native, Walter Jack Savage. I love his work and would be ecstatic if the publisher chooses to use it in some form. The Mama D's poetry series continues to roll. This coming Wednesday features Lisa Marie Brodsky reading from her book Motherlung as well as some of her other work. This series has become part of the duties of the poet laureate position. If you're a poet and interested in reading, please contact me. I continue to submit poetry to various magazines and have a couple of contest entries that I am super hopeful about. These keep me going.